Чебуреки по этому рецепту получаются очень вкусные, корочки мягкие! 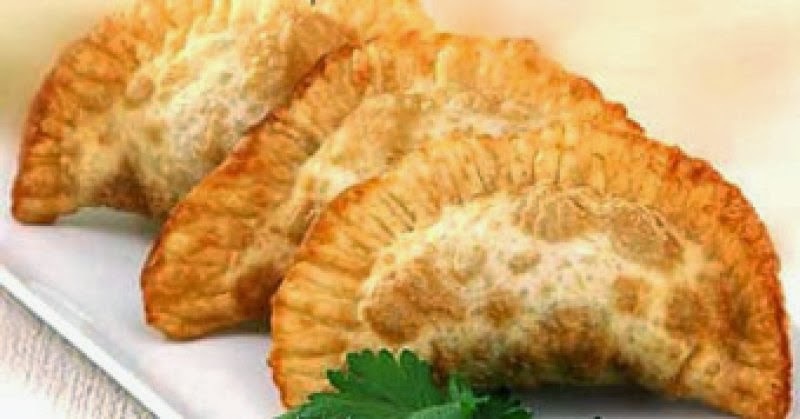 Chebureks under this recipe turn out very tasty, crusts soft! Ингредиенты:Тесто:-3.5 glasses of a flour; - 350 ml of water; - 1 egg; - 1 table. The spoon of drawn butter (or it is simple oils) - 0.5 teaspoons of salt. 1. To boil water with salt and oil (oil gives to ready chebureks characteristic ' пузырчатость '). 2. Immediately to make in it 1/2 glasses of a flour, trying to stir комки and to allow to cool down (заваривание parts of a flour does a dough soft and plastic). If a little комков remains - not terribly, they then will miss. 3. To add an egg and to mix. One step at a time adding other flour to knead a dough. The dough should not stick to hands if sticks to add a little more flours. To allow to be insisted not less than 1 hour (it is possible though 2-3). - Salt, pepper, spices to taste. In forcemeat to add an onions, water or kefir which except for flavouring painting, possesses wonderful property to connect crude forcemeat (forcemeat does not spread) and to give a liquid to a ready product. Everything is OK to mix. 1. Cutting off a dough on balls in size with a ball for table tennis to unroll in a flat cake in thickness 1 mm. To level forcemeat (hardly more, than the test) on one half of flat cake to cover with second half and edges to press down. Прокатать on edge the special machine or edge блюдца, or a plug. 2. In a saucepan to pour on 2-3 sm of vegetable oil, and having waited while oil will heat up, to fry from 2 sides on average fire, not covering, before formation of золотисто-brown color.